All carving product are very interesting, especially from Teak wood material. You can order any shapes or creature that you want. Besides, it would be nice to decor your house with something unique that made from best quality of Teak wood. 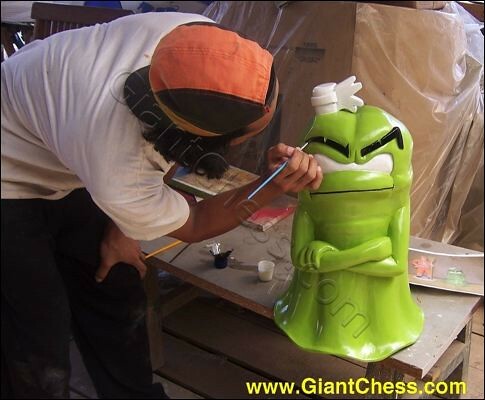 Just like in the picture, it is our craftsman who enjoy his job to carved and paint Mist Monster furniture product. This product will use for house decoration, so that we try to give a funny touch.